How is Boral using Dashpivot? Managing the paper-work behind site visits used to be hard work for Boral site coordinators. Documenting site visits with paper, word docs and PDFs was time consuming on site, and the records which they did capture were difficult to organise and send to the office teams to be reconciled. Using Dashpivot, the Boral site coordinators have been able to remove the need for paper based forms and replace these with the Dashpivot app. Site coordinators can now open up the app on their phone or tablet, and capture all of those important site visit and pour details whenever it's required. Once a pour is scheduled, the site coordinators open their digital pre-pour report to do a pre-pour inspection. The digital form contains custom fields which have been setup specifically for the Boral team so that they can record all the essential setup, accessibility and types of equipment used quickly and easily on mobile or tablet. 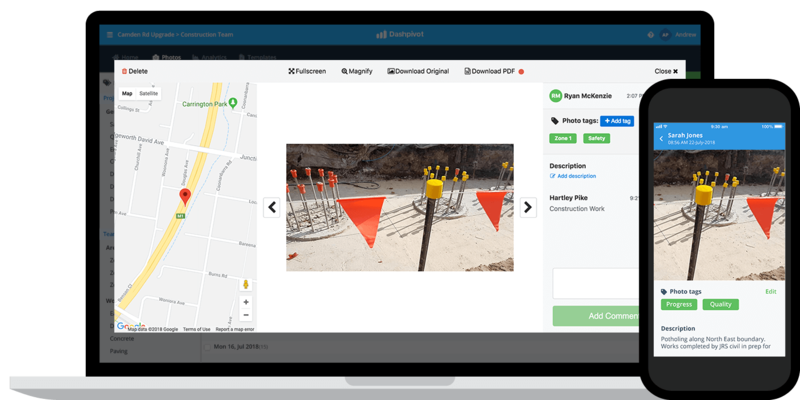 Instead of waiting hours or days for the site coordinators to scan, upload or send these pre-pour inspections to the office, every one on the site coordinating team as well as a project manager or office manager can see what's happening in real-time. This brings complete visibility to what's happening on site and surfaces any issues quickly. Dashpivot also automatically organises these site report records in chronological order - and they can also be converted into a register format - so that every record is easily searchable and findable. This way, everyone on the team and at Boral can get proper insight into how their sites and customers are being managed. Dashpivot is making site coordinators lives easier and customers happier. Similar to the pre-pour report, this reports has been completely digitised and simplified with Dashpivot. The process for completing a post-pour report is the same easy few steps: open up the report, complete the fields, and save the form. The additional benefit of using Dashpivot for these reports is that Boral and the site coordinators are able to create more thorough records. The report they complete contains tables and fields for capturing detailed records of the mix quality and key outcomes, and site coordinators can also take pictures and videos directly inside of the app. If there is an issue with the pour or concrete, site coordinators can capture that in real-time. They have the ability to add comments and observations to photos and videos in real-time, and photos are automatically geotagged and sent straight to the cloud. Instead of getting back to the office with a pile of paper or photo files on their device, all of the site coordinators photos, videos and comments are instantly send to Dashpivot - where they can be seen and accessed on the web-app (computer) or mobile or tablet. Concrete can look pretty similar from pour to pour, but every photo or video taken within a specific pour report is automatically stored within that report. So when management or a site coordinator opens their pour report from Site 3B, they know that the mix quality photo attached is the pour from Site 3B. Everyone from the site coordinators to management can go into Dashpivot at any time to review any or all pour reports and photos - which is incredibly valuable for customer disputes and general performance review. See the software for yourself. Boral was able to digitise and streamline how they captured, organised and tracked concrete almost overnight. With Dashpivot, Boral and the site coordinators were able to eliminate time-consuming admin and bring improved organisation and record keeping to a remote and dynamic team. This has helped site coordinators focus on managing the site and the concrete pours, and maintaining great customer engagement from pre-pour to post-pour. Managing multiple records across multiple site coordinators, multiple sites and multiple customers is tricky at the best of times, but using paper, word docs and PDFs makes it impossible to do the job well - and to maintain an understanding of how things are actually going. Boral can further improve their internal and external processes with some other core Dashpivot functionality. 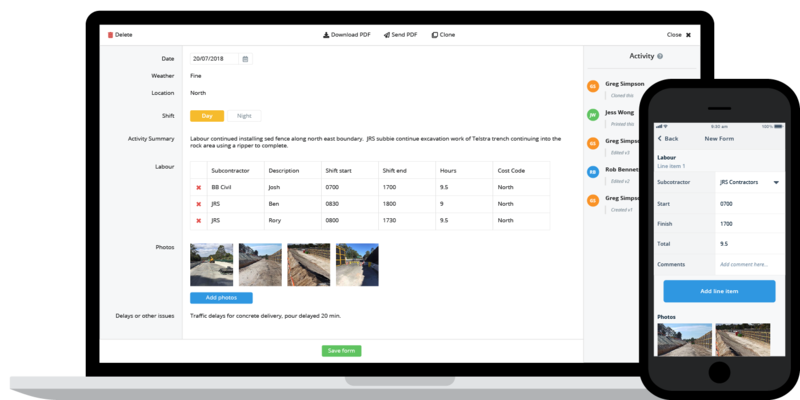 Because Boral is capturing data on the quality of their concrete mixes and other information in Dashpivot's digital format, they can begin to automatically display this information through real-time accurate analytics. This way, site coordinators and management will be able to instantly see the quality of mixes in ratio charts, as well as track concrete pour quantities and production in real-time. Administrators no longer need to spend their time chasing up site coordinators and double-handling the data collected on paper forms, to then display this information in a complicated excel chart. 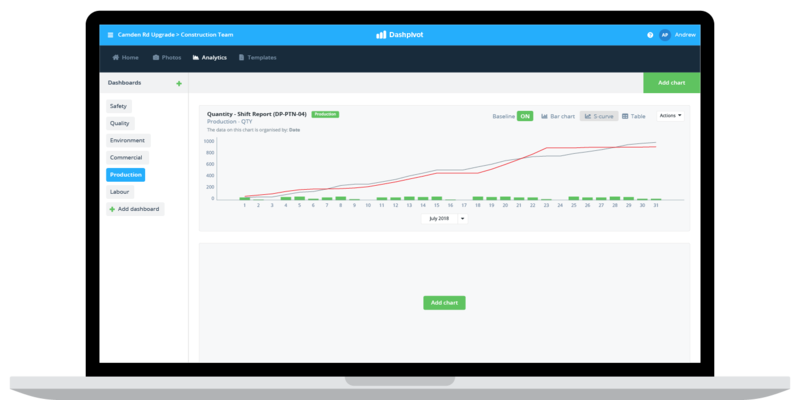 They can spend their time diving into the details of the data inside of Dashpivot's intuitive dashboards - and managing more important tasks. This layer will give increased control to Boral, giving them a more accurate view of every pour as well as the overall health of their concreting activities. For a company who has been able to continuously improve over the past 50 years and one which seeks continues improvement at every level of performance, these insights are invaluable. Modernising jobs like concrete site coordination can seem like a difficult and frictional task, but with Dashpivot's easy-to-use app and simple and flexible forms, Boral has been able to improve how they get work done quickly and easily. See how Dashpivot can work for you too. Get a custom demo specific to your projects, teams and use case - or try the software for free.